The Volkswagen CC coupé is a nippy and powerful model, available with a choice of four engines to deliver a 0-60 speed of no more than ten seconds. The optional diesel engines with BlueMotion technology provide excellent fuel economy, and drivers will enjoy a very generous MPG across the full range. Each engine works capably alongside the six-speed manual gearbox, which includes an electronic parking brake that secures the vehicle with just one button. Inside and out, the new CC is designed to blend style with safety. A protective inner cell is concealed by the sleek coupé body, which absorbs the energy from an impact to guard passengers from harm. ISOFIX child seat attachments in the back are fitted as standard, ensuring that young travellers stay securely in place. All VW Passat CC GT 2.0 TDi car offers are based on Car Leasing, 10k miles per annum with stated number of rentals in advance followed by 47 (4yr ) & 35 rentals (3yr) as appropriate. 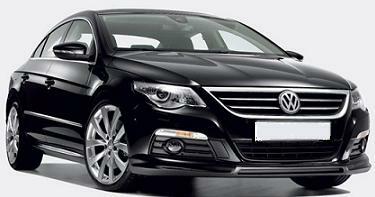 Business rentals exclude VAT / Personal leasing offer rentals include VAT. All Images are for illustration purposes only.Other terms and miles available upon request. As standard leasing offer, the VW Passat CC GT TDi prices advertised includes delivery to your front door of a brand new vehicle which comes with a 3 Year Warranty. The price includes road fund licence ( road tax ) throughout the contract hire term and the car is collected at contract end. We can add additional maintenance packages to the leasing contract to include servicing and replacement tyre costs to the contract if required. 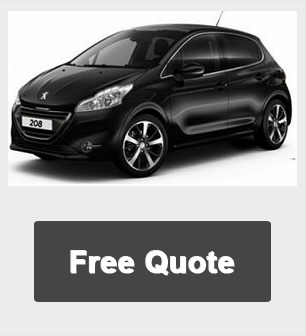 For more information on this cheap special leasing offer please call us on the below number.